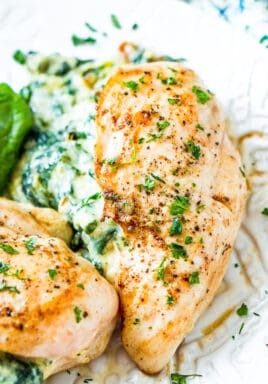 Spinach Stuffed Chicken Breasts are filled with a creamy mixture of spinach, cream cheese, sour cream, parmesan, mozzarella, and spices. 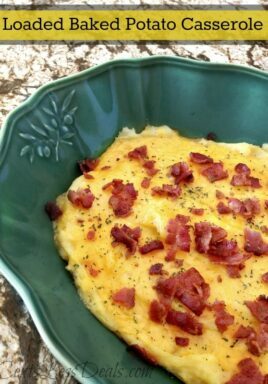 It’s a quick, easy and delicious meal that you can enjoy any day of the week! Looking for a new way to add excitement to regular old chicken? 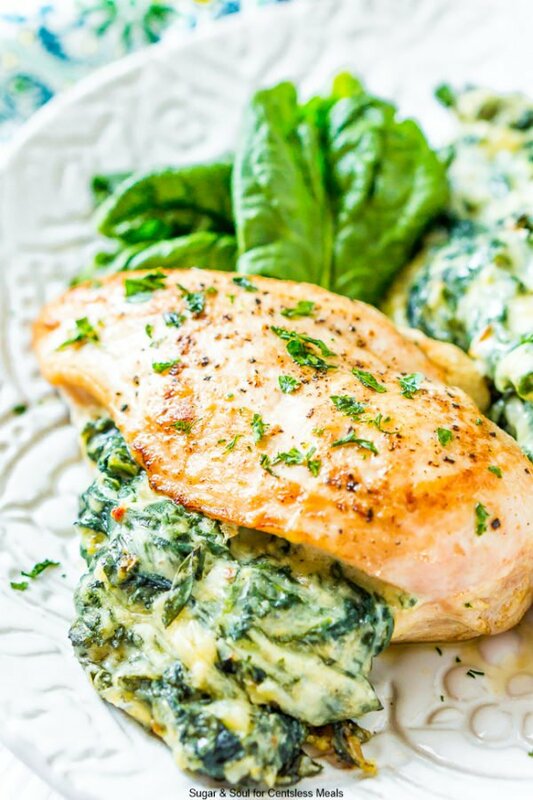 This Spinach Stuffed Chicken Breast recipe will definitely do the trick! Chicken is a healthy, versatile way to add protein to any meal, which is why I always keep some in my refrigerator. But half the time, when dinner rolls around, I look at all those packs of chicken… and have no idea what to do with them! Grilled chicken is good, but it can get dry if it’s marinated. And plain pan-fried or baked chicken is just boring! Luckily, I’ve found a solution. On those nights when you have nothing prepared and don’t have the creativity or energy to spend whipping up a meal, Spinach Stuffed Chicken or Creamy Tuscan Chicken are both wonderful options! Filled with a mixture of spinach, cream cheese, parmesan, mozzarella, sour cream, and spices, the “stuffing” in these Spinach Stuffed Chicken Breasts tastes like a creamy spinach dip! What’s more, it makes the stuffed chicken taste tender and juicy. Plus, this recipe is super quick and easy to make! 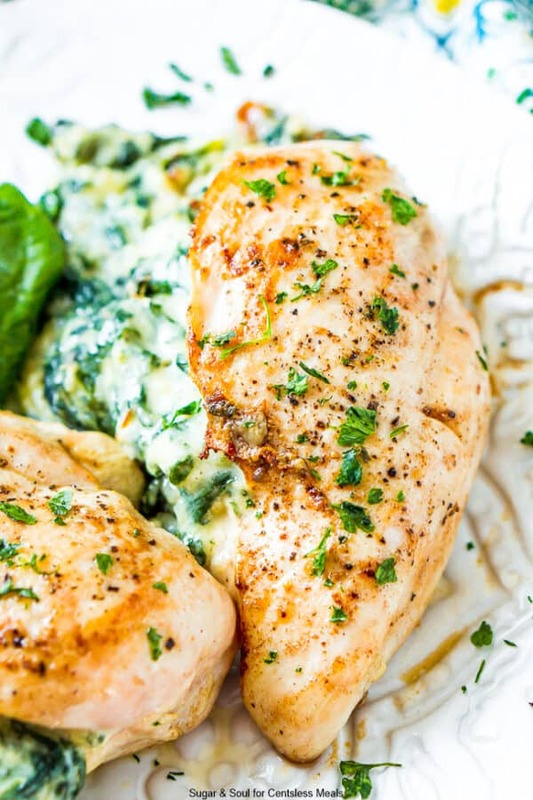 This Spinach Stuffed Chicken recipe could not be more simple! Slice each chicken breast in the middle to form a pocket. Mix up the spinach and cheese filling. Sear on both sides in a hot skillet, then transfer to oven. 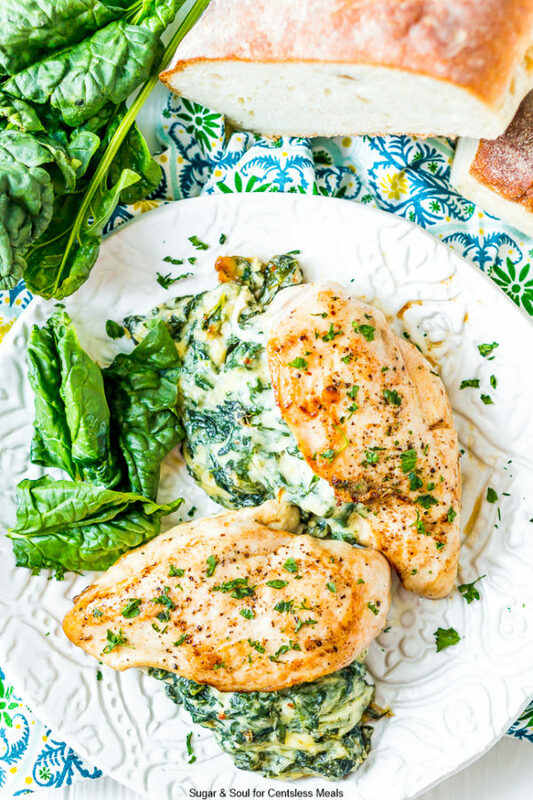 This spinach and cheese stuffed chicken looks like it could be served at a restaurant! And with its tantalizing flavors and textures, plus the hands-off baking time, Spinach Stuffed Chicken is also a great meal to make if you’re hosting company. 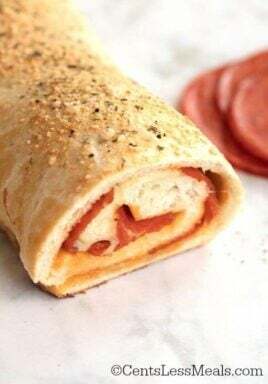 Cheesy Breadsticks are a great starter for this meal. Then serve the spinach stuffed chicken with a side of pasta, salad, or steamed veggies and you’ll have a complete, well-rounded dinner that the entire family will enjoy. 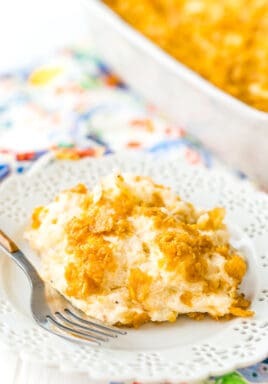 The stuffed chicken also makes great leftovers for next-day lunches. If you’re looking for an easy way to make chicken a little more interesting, keep this crowd-pleasing Stuffed Chicken Breast recipe on hand for any day of the week! Spinach Stuffed Chicken Breasts are filled with a deliciously creamy spinach mixture and are a quick and easy meal that you can enjoy any day of the week! Preheat the oven to 350˚F and add olive oil to a large oven-safe skillet and set aside. Slice the chicken breast in half starting from the side, but do not cut all the way through, you want to make a pocket for the filling. To make the stuffing, begin by microwaving the chopped spinach in a large bowl for 90 seconds to wilt the spinach. Remove the spinach from the microwave and stir in the cheeses, sour cream, and seasonings until well combined. Stuff equal parts of the spinach mixture into the prepared chicken breasts and place in the prepared skillet. Sear the chicken over medium-high heat on both sides until golden brown. Transfer the chicken to the oven and bake for 30 to 40 minutes or until the chicken reaches an internal temperature of 165 degrees F.